Russian state-owned gas company Gazprom announced on Wednesday that it will halts gas supplies to Ukraine from July 1. “Gazprom will not supply Ukraine under any gas price if there is no prepayment,” Gazprom Chief Alexei Miller said. Russia and Ukraine failed to reach a new agreement on gas prices at talks in Vienna on Tuesday. Russia will not increase the discount it has offered to Ukraine on gas purchases, Russia’s Energy Minister said on Tuesday. 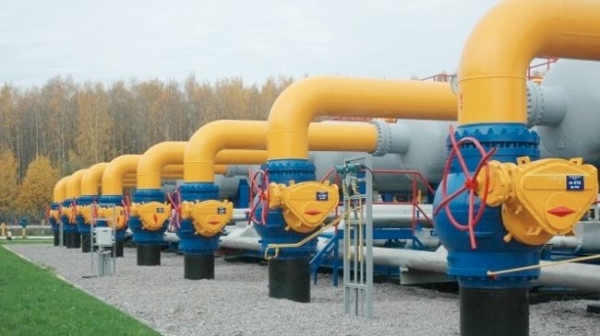 “The price of $247 [per cubic meter of gas] is completely competitive, that is why we are very surprised that Ukraine wants a much lower price – it is out of line with the current market environment,” Russian Energy Minister Aleksandr Novak said. He stressed that the price “is not subject to correction”. Russia will, however, continue direct supplies of gas to Ukraine’s violence-torn southeast, Novak said. The two sides have been locked in dispute for four years over a 2009 contract, under which they agreed to tie the price of gas to the international spot price for oil. The European Union says that one-fifth to one-fourth of its gas supplies come from Russia via the Ukraine. Six EU countries depend on Russia for 100 per cent of their gas imports. Meanwhile, Russian Envoy to the EU Vladimir Chizhov said on Wednesday that the EU is trying to maintain the transit of Russian gas through Ukraine for “politically motivated reasons”. “I think they have the ultimate goal of keeping the Ukrainian transit, which is a purely political stance. It does not have any economic basis,” he told Russian agency Sputnik. He also questioned why the EU is not seeking to enhance cooperation with Russia on the Turkish Stream gas pipeline project through the Black Sea and Greece that bypasses Ukraine. I think $247/cubic meter is a misprint. Probably per 1000/meter cubed.